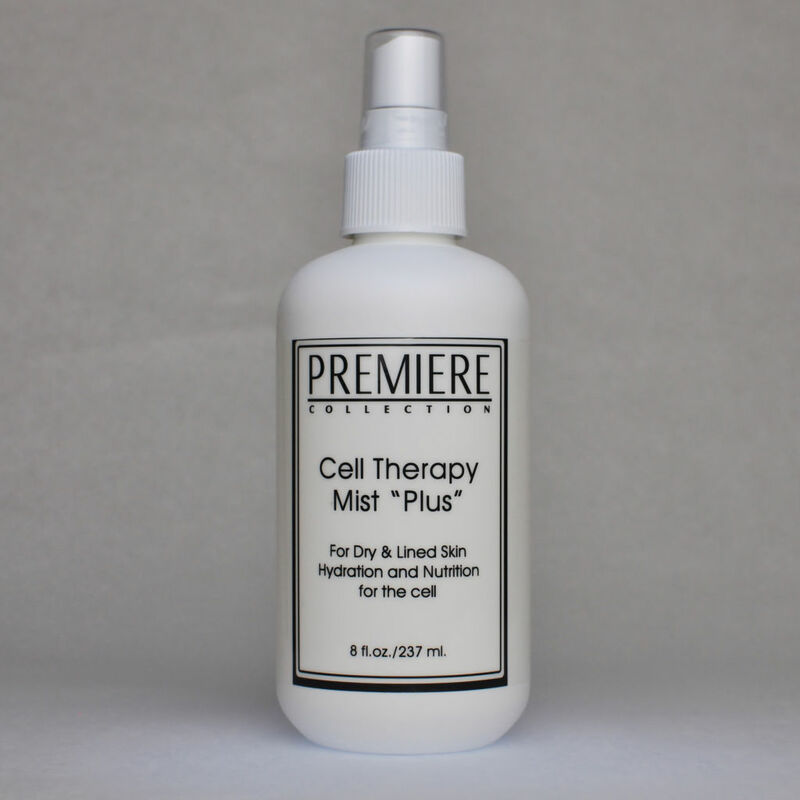 For dry & lined skin, Cell Therapy Mist “Plus” is Dessert for the Skin. This nutritious mist for the face and body is a genuine beauty food. 100% natural, these complete extracts of fruits and vegetables are solvent and color free. Secrets to understanding the how to’s of Great Ski are just a Click away! Clinically proven potent vitamins found in the plant world, captured in Fresh Cells (TM), bring the skin all the benefits of original plants. Strawberry, Carrot, Mango and Kiwi plant cells provide the skin with the known effects and benefits of each fruit. Vitamin A known as “The Beauty” vitamin, Strawberry to lighten and tone skin while helping to protect the natural moisture of your skin are combined with Hyaluronic Acid, the moisture sponge and suspended in engineered water for increased absorption.